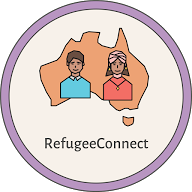 The Refugee Connect team formed to explore the potential of government databases for Refugees Welcome. Refugees Welcome Australia is a not-for-profit organisation that matches refugees with homeowners with spare rooms. Refugees Welcome began in Germany when a group of concerned citizens tried to persuade homeowners to take refugees into their own homes. Despite huge media and funding support and offers by thousands of homeowners, only 345 refugees were eventually housed. In the meantime, other countries asked Refugees Welcome for their operational methods, and Refugees Welcome Australia was set up. Due to lack of support from other NGOs and government, the only branch in Australia actively seeking to house refugees has been Brisbane. After hundreds of hours of volunteer work by a large volunteer force, only a handful of refugees have obtained temporary accommodation. This highlights the main problem with asking people to house strangers for free. People with spare rooms know they can receive income from AirBnB for their rooms and have little incentive, except compassion, to forgo that income. The solution that Refugees Welcome South Australia has devised, is to facilitate the making of an agreement between the refugee and the host whereby the refugee provides 15 hours of work per week in exchange for room and board. The agreement is to be negotiated by both sides (anonymously at first) and set out in the app, to protect both parties. A second map shows the number of people with spare rooms in Australia, and, making justifiable assumptions, shows the services they would be expected to most value, such as childcare, aged care, gardening and general duties. The maps start refugees and hosts along the path of choosing each other, but also are intended to be valuable public informational resources which raise awareness of the Refugee Welcome scheme. Here we use the Australian Census and Migrants Integrated Dataset 2011 – SA. Reason: The humanitarian visa is for people who are subject to persecution in their home country and are in need of resettlement. The majority of applicants who are considered under this category are identified by the United Nations High Commissioner for Refugees (UNHCR) and referred to the Australian Government for resettlement consideration. The Department of Immigration and Border Protection has allocated the visa has subclass series as 200,201,202,203 & 204. Although the data is from 2011, it provides great insights into the number of onshore/offshore humanitarian applicants, their age distributions, marital status, dependants and years of arrival, education levels. It also provides a citizenship status by year which can be depicted in a graph or info graph to show the trends of citizenship for humanitarian visa holders over the past decade, including the top 10 origins of the humanitarian visa holders. The employment rates are also discussed for both the main applicant and the secondary applicants which, after some calculations can give us estimates of unemployment rates within the humanitarian sector. We know that the government of South Australia helps these individuals financially and can estimate the costs involved to support these individuals. From the data we can deduce and summarise the capabilities and earnings of those humanitarians currently in the workforce in order to create a shift in the mindset of South Australians to embrace the new workforce.